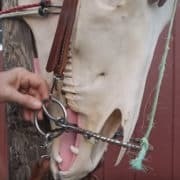 On March 27, 2013, the Alberta SPCA received a call from a concerned individual who had seen a trainer injuring a horse through the aggressive use of his spurs and reins. 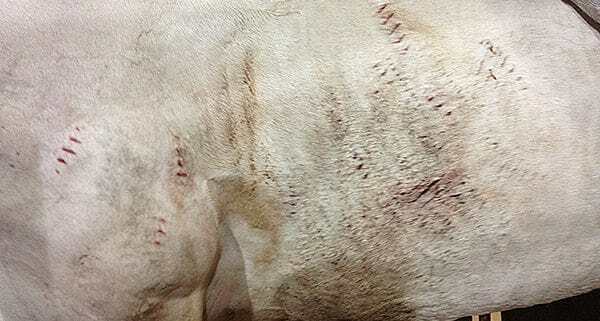 The caller had photographed the horse’s injuries: numerous deep cuts to the sides of the animal, which resulted in significant bleeding, as well as bleeding from the mouth. The witness also gave our peace officer a video recording of the same trainer injuring a different horse in the same fashion, with the same results, earlier in February 2013. During the course of the investigation, more people came forward with information. They all described incidents where the trainer was observed injuring and causing distress to horses with training methods that are not acceptable to the riding community. His methods included using spurs intended to cut into the flesh, tying back a horse’s head and withholding feed and water. Kyle Ronald Weston pleaded guilty in Grande Prairie Provincial Court on February 15, 2014, to four counts relating to section 2(1) of the Animal Protection Act. He was fined a total of $4,000. Read about the charges and $160,000 fine Mark Arballo received on September 13th, 2016 for horse abuse. Seems the NRHA only take action after someone has done all the dirty work to get a person charged. How much is going on that they are turning a blind eye to would be my question. BE WARNED PEOPLE. THIS MAN IS BACK TRAINING HORSES AGAIN AND IS LISTED AS A NRHA PROFESSIONAL. 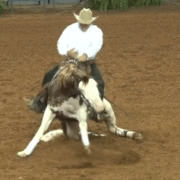 He was suspended for two years by the NRHA after the courts charged him with abuse. He was removed early from the suspension list and is now back training in Armstrong BC Canada. Seems no matter what abuse you do to a horse, you are welcome back as a promoted professional of the sport ! I bought my gelding from a SO CALLED trainer in CANADA ( 5 year old horse off the track) Site unseen..When My husband and Uncle picked him up for me.. He was covered with the same type of spur marks on his neck, cheast and sides. WAY TOO MANY .After the horse got home I sent a message, I asked what was this all about tons of spur cuts . HIS comment was .. the horse was not listening to his training so he had to use some SPURS to get his attention. I think this goes on a lot more than people are aware of!! SO SAD>> STUPID TRAINER..!! FAKE! 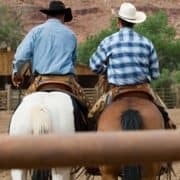 How can a person SPUR a horse UNDER the saddle? Don’t fall for the lies of AR extremists who try to undermine every sport! Andi – the actual abuser admitted they were spur marks in court. You need to accept that the sport has abusers and do something about removing them. They tape the spurs on bronc riders so they will not cut them like this. It’s no different than pushing the horse with your thumb. Only performance trainers get away with this kind of abuse. Weird to think that bronc riders are kinder to their mounts than performance trainers, isn’t it. 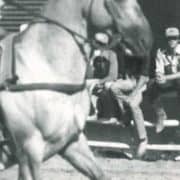 I have a QH stud who was being trained for the NCHA Futurity many years ago. He has spur scars on his left shoulder made by a well known cutting trainer. He obviously was a little slow turning to the right. We kept him short cow side right and then hustled him to keep up after he turned. Solved the problem. We were just a couple of cowboys, not famous trainers. For the life of me I cannot understand this. Even looking at it objectively, it doesn’t work. Spurs are an aid, not a punishment. Look Close! 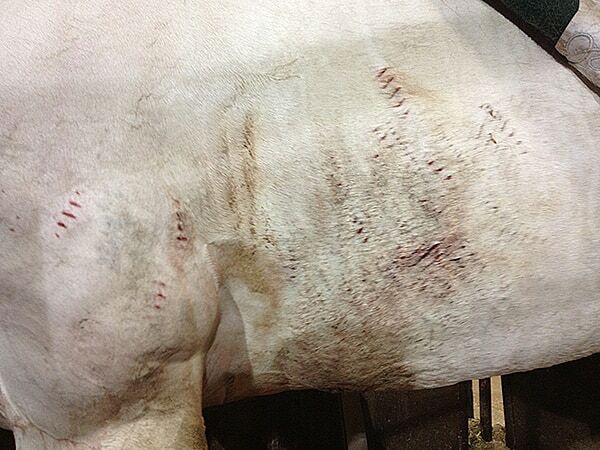 You can see the spur marks right up to where the saddle would have been. Notice there’s no marks on the cinch area, just in front and behind. It’s very possible, I’ve seen it done and in fact I have watched Kyle(this guy) do it myself. Years ago before I left reining because if this very thing. It happens every day in most of the “Big Time” barns. 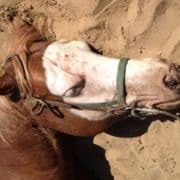 It’s sick and wrong and any true horseman would never think about doing this! It’s all about the money and glory for these guys, and even some of the ladies to unfortunately. Training abuse is not just in the reigning industry. Its in every discipline. Its in every country. Why just zero in on one area. Take it to the government to change the laws. Had this been a dog case they would have lost privilidges to own animals. But because it is live stock they get a slap on the wrist. They should lose the right to own animals face higher fines and actually spend time in jail. Yes there are issues in every sport but you cannot help all at once. There are people focused on each discipline and we focus on improving the lives of reiners. We fail to understand why anyone would object to improving rules to assist the animals we all love and enjoy breeding/showing/riding. The fact they are being abused is not disputable, just read all the comments and we have people sending us stories and information continously from across the globe. Today i was added to a “Larry Rose Fan Club” automatically on Facebook. I don’t believe there are 191 supporters, just a lot of people who don’t check their FB page. I didn’t even know anything about this guy! !